More seniors than ever before are enjoying their golden years in the comfort of their own homes with the help of a qualified in-home caregiver. Innovative technology like homecare systems and homecare software like ClearCare Online make it easier for family members to leave their loved ones in the care of others, since point-of-care software allows them to virtually “see” their daily activities. Still, some may have reservations about in-home care, and wonder if it is the best care setting for their aging relatives. Let’s discuss a few of the most frequently asked questions about home care and home care systems. 1. 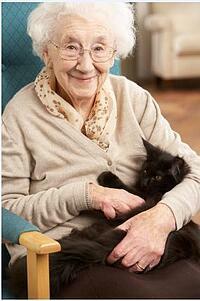 Does my loved one need an in-home caregiver? Determining whether or not your loved one needs assistance at home may be challenging. You may hesitate to offend your aging mother or father by suggesting they could use the extra help, but this may be doing more harm than good. Rather than limiting your loved one’s freedoms, home care can help them maintain their independence and enjoyment of life longer. If the senior is having difficulty caring for his basic needs, finances, or housework, he may be ready for an in-home caregiver. Caregivers who use homecare software like ClearCare Online can set daily tasks for medication management, meal preparation, exercise routines, and doctor appointments – just to name a few. 2. How reliable is in-home care? You can count on an experienced, qualified caregiver when you work with a reputable home care agency. Agencies that use homecare systems or homecare software can easily track background checks, skills, and certifications. ClearCare Online’s homecare software uses a state-of-the-art telephony system that requires caregivers to clock in to their shift from the client’s home telephone. This system alerts agency administrators immediately if the caregiver has not arrived on time so they can proactively manage any issues as they arise and make alternative arrangements. Working with an agency that uses sophisticated homecare systems like ClearCare Online gives families peace of mind with real-time point-of-care updates on daily activities. What kind of background checks do you perform? Do you use homecare software to appropriately match each client with the right caregiver? How do you monitor and supervise your caregivers? Be sure the agencies you interview offer web-based homecare systems like ClearCare Online so that you can check on your loved one’s care even when you are miles away. What other questions would you like answered about in-home care?